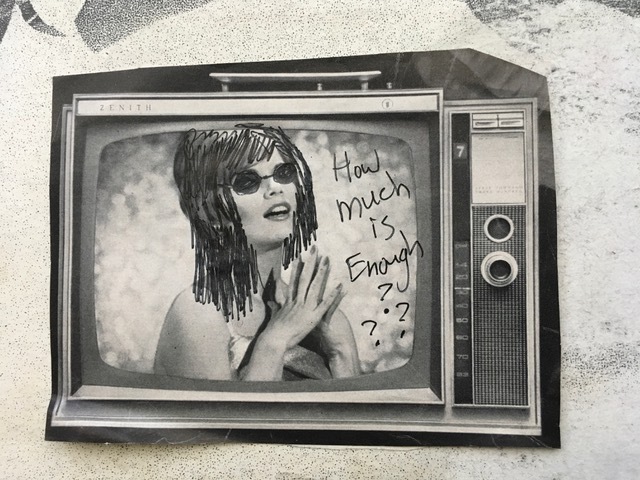 I thought this question needed it’s own song, so I wrote and recorded "How Much Is Enough" right before we mixed the songs for World On Sticks. The momentum of recording an album always inspires some last minute song writing for me. Sometimes these songs end up on future albums. This one definitely belongs to the World On Sticks. Dave Rygalski (of Lucky Hammer) helped me bring my album collages to life for the video of the song which you can watch here.